Highly coveted free agent Gordon Hayward will now have enjoyed some much-needed shut-eye and will likely be reaching the most important decision of his career in his San Diego vacation home right now, following yesterday's report that he needed to sleep on it. 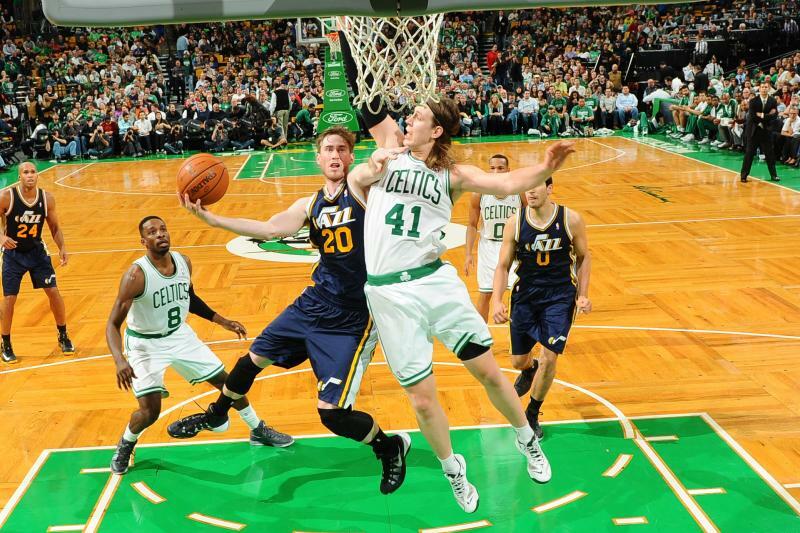 The Celtics are joined by the Miami Heat and Utah Jazz in patiently awaiting Hayward's free agency decision. Whether it be due to lifestyle, basketball or financial reasons, the 27-year-old certainly has some attractive options either way. Currently, fans of each franchise are frantically refreshing their timeline and debating the advantages that their teams can offer the former Butler standout. To avoid being driven near to insanity, it's vital that we follow some simple rules when keeping tabs on Hayward's next move. In the age of social media, everyone's got something to say. Sports fans are occasionally known to sensationalize, exaggerate and downright lie in order to get online traction. There appear to be several fake reports out there announcing Gordon Hayward his signed with each of his three finalists. Stop reading them. Be sure to only keep track of legitimate sources and skip past the 'fake news'. Adrian Wojnarowski, Marc Stein, Zach Lowe and Sam Amick are reliable sources and will surely be able to provide all the information you need as soon as the decision leaves the Hayward household. For a more Boston-centric outlook, ESPN's Chris Forsberg, The Globe's Gary Washburn and his colleague Adam Himmelsbach are all essential follows. An alternative method would be just to refresh the Players Tribune home page, where Hayward's decision is likely to appear first. Staring at computer or phone screens for an inordinate amount of time has proven to be a serious health risk. For the sake of your eyesight, step away from the device. By the time you've made a meal, gone for a leisurely walk, taken a power nap or even shaved the unruly facial hair that you've grown whilst waiting, he may have made his choice. Don't let your personal theories stir inside your head. Let it all out and partake in civil discussions about the potential outcome. By the time the final 4th of July firework blazes into the sky, Hayward will have made his decision. He may grab hold of the best opportunity to win by heading to Boston, he may show seldom-seen, admirable loyalty by sticking with the Jazz in the Western Conference or he could merely choose better weather and take his talents to South Beach. Put simply, being prepared for all outcomes and possibilities is the appropriate way to deal with all of this.